Mei Kusakabe is the four-year-old sister of Satsuki in My Neighbor Totoro. She is incredibly lively and active as well as extremely curious. She is the first to meet Totoro and does so by falling down a hole in a tree root after following smaller totoros excitedly. Mei isn’t the least bit scared of the new creature she has found even when it open its huge mouth to yawn. Instead she just opens her mouth back. Mei does have a caring side and decides to go to the hospital with the sweet corn she picked from Granny’s garden. However she ends up getting lost on the way and gets very upset. Mei Kusakabe is four years old. She has light brown hair and brown eyes. She wears a white blouse with a pink dress and yellow shoes and white bloomers, and carries a yellow bag, and end of the film she wears a light pink dress. Mei also wears a yellow night-dress at night and a sky blue night-dress at night in the sequel. Mei’s personality is just like that of any young girl; being bright, sweet, and innocent. She is extremely curious, following the smaller Totoros as soon as she sees them, as well as trying to get the dust creatures to come out of hiding. 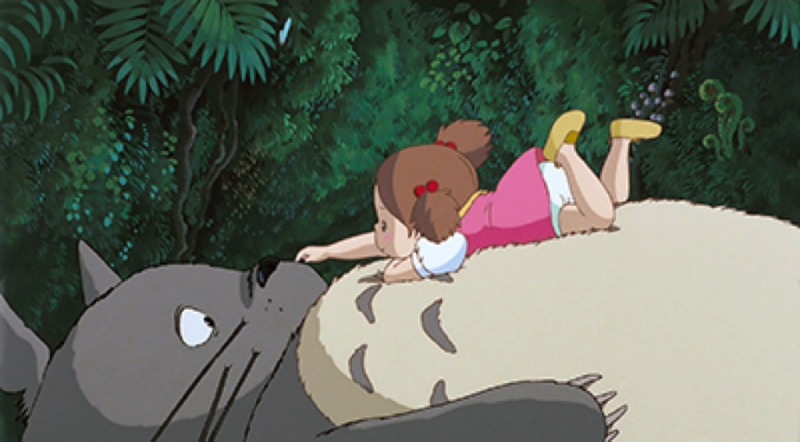 Upon finding Totoro, she is not the least bit afraid, only laughing happily and answering Totoro’s roars and falling asleep on his stomach. She loves playing with her sister and is very eager to explore the house and its surroundings. She also cares deeply about her family, and becomes sad when she hears her mother still has to stay in the hospital. This emotion causes Mei to start crying, after Satsuki angrily snaps at her. If you are a fan of My neighbor Totoro in particular and Ghibli in general, if you love Mei, Satsuki, Totoro or other Ghibli characters and if you want to live the life of Ghibli, the best way is through the cute merchandise of Ghibli. Here are some suggestions that we give you.